Lemon Harangue Pie: School renames Easter eggs "spring spheres"
Why is it with every holiday we have to read stories like this? Not religious symbols, and not spheres. 16-year-old Seattle student Jessica volunteered to help out in a local third grade classroom. With Easter just around the corner she thought she would do something festive for the kids. "At the end of the week," she said, "I had an idea to fill little plastic eggs with treats and jelly beans and other candy, but I was kind of unsure how the teacher would feel about that." Jessica went to the teacher for approval. "She said that I could do it as long as I called this treat 'spring spheres.' I couldn't call them Easter eggs," Jessica explained. Rather than rock the boat, Jessica decided to play along with the teacher's idiotic idea, and brought the "spheres" to class. 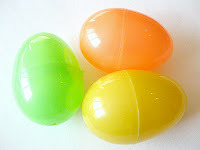 "When I took them out of the bag, the teacher said, 'Oh look, spring spheres,' and all the kids were like, 'Wow, Easter eggs.' So they knew." Of course they knew. Kids tend to be a lot smarter than we think. Maybe that's why we send them to school and dumb them down. Honestly, after reading this story I couldn't decide which was more ridiculous: the fact that this teacher thinks that plastic, candy-filled eggs are potentially offensive religious symbols, or that eggs are indeed spherical in shape. Either way, it doesn't speak very highly of American education.